If you’re one of the many that’s been sold on the concept that registering in SAM.gov, getting one or more socioeconomic designations and being awarded a GSA Schedule will guarantee you success in federal contracting, here’s a tip. There’s less risk and more likelihood of a payoff at the Roulette tables in Las Vegas. If you lead or work for a small business trying to ‘get a foot in the door’ to the hundreds of billions spent each year by federal agencies, be sure you arrive with your eyes wide open. In addition to the significant time and money it most often takes to arrive at a viable and winnable opportunity, you’ll need to develop context for the new language and processes in order to make good decisions. In turn, this will increase your ability to separate the wheat from the chaff as you engage in finding and qualifying opportunities and partners. 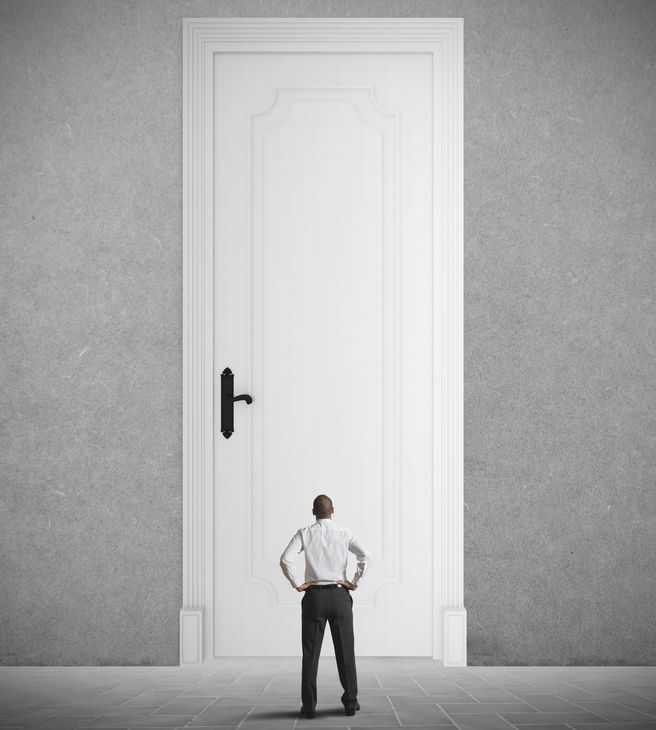 Where does a small business start to get their foot in the door? It depends on what ‘start’ means to the party asking. Most companies new to this space seem to consider the ‘start’ as the place they go or person they call to secure that first piece of business. To me, that occurs long after the ‘start’ I have in mind. If we’re truly referring to the beginning, to me it means research to develop an understanding of and insights into this new territory. Basically, a ‘go-to-market‘ approach is needed so you understand why you are here in a tangible way. Why start contacting folks and organizations if you haven’t looked into who buys what you sell or how or why they buy it? How can you communicate the benefits of your goods and/or services to your intended audience if you don’t understand their needs from a business operations or mission standpoint? How will you know the ‘benefits’ you claim will be perceived as benefits by them? One of the unique characteristics of doing business in this arena is the broad availability of data and information freely accessible to everyone. It’s the very stuff everyone is looking for (even if they don’t realize it) that can be used to answer a plethora of questions. 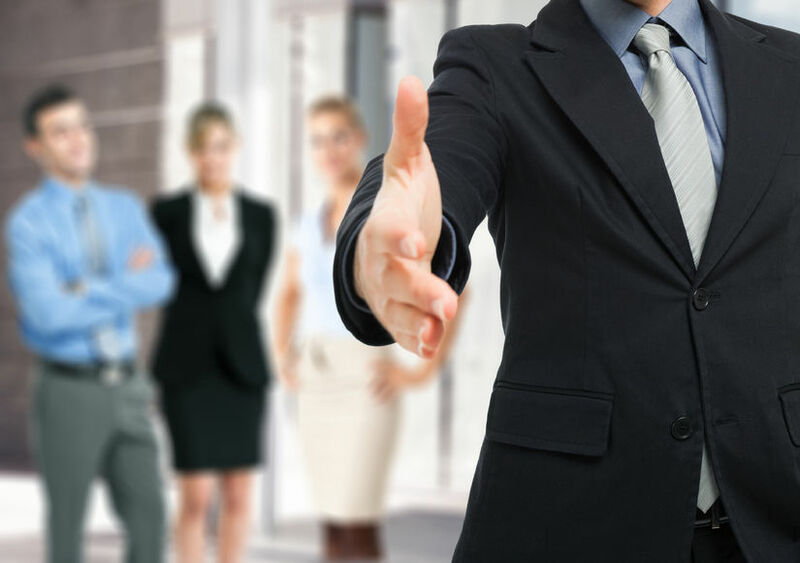 Whether you are just breaking in or are fully engaged in whatever stage of the Business Development Cycle, nearly everything you need is a handshake, keystroke or phone call away. The sophistication of finding and using this information is directly attributable to whom you plan to sell, what you are selling and the size of the opportunities you want to pursue. By the way, once you’ve registered in SAM.gov you might notice you’ve become very popular, sort of like you hit the lottery and have a slew of ‘relatives’ you never knew coming out of the woodwork. They want to sell you GSA Schedules, market intelligence and a host of other products and services you probably won’t miss if you don’t have them. Don’t be swayed by the lure of quick and easy money because the only thing moving quickly and easily will be your dough headed to their bank accounts. How did you set up your SAM.gov profile when it came to populating the section about NAICS Codes? Did you do any research to determine how NAICS Codes are used by agencies so that you selected the most relevant ones? What about the other classification system referenced in SAM.gov? Like most, you probably left that one blank because no one told you it was important to know Product and Service Codes as well. Well they are and they are important to agencies too. Get back into SAM.gov and give agencies another way to find you when they come looking. Now you can consider yourself told. Even if your plan is to be a subcontractor, you need to understand why or if you matter to a company with a reason to subcontract. I don’t know a company in this space sitting back with their arms open ready to bring any and all potential partners to help them carve up their most recent win. There will be a substantive reason they do or don’t need you and it’s your job to conduct due diligence to understand this as much as possible. From a level of effort perspective, it can help you reduce the number of cycles you spend trying to get face time with a company for an opportunity where there’s just not a fit. Even if you are brand new to federal contracting, you need to consider selling direct to agencies based on what you sell, who you want to sell to, and the results of your research. You’ll hear from many in government and industry you ‘can’t be a viable federal contractor without a GSA Schedule’ to which I say hogwash. While it may hold truth for certain companies doing business with certain agencies for certain goods and services, the fact is, many more dollars are spent in ways not related to GSA Schedules. If you made a plan based on developing market and competitive intelligence, you will know that sales against the Federal Supply Schedules (FSS) account for a small portion of the governmentwide fiscal spend, and that some agencies have changed how their buyers can place orders against the Schedules, which makes it less likely they would use it in light of these changes according to some I’ve spoken to on this topic. While the Federal Supply Schedule could be a ‘foot in the door’ for some organizations, there are other purchasing methods which do not require the upfront investment associated with securing a ‘hunting license’ like this. An example of this is buys made by agencies when they don’t place an order against an established contract vehicle. For the past few fiscal years, buys made via non-IDV (Indefinite Delivery Vehicle) awards (also referred to as standalone contracts), have accounted for nearly as much or more than obligations to established contract vehicles. An example of buys that, for the most part, don’t require your company to have a hunting license are those made using the Simplified Acquisition Procedures. As of the end of FY2014, purchases made this way accounted for just over $19 billion in goods and services procured. There are many reasons for small federal contractors to be knowledgeable of these opportunities especially since agencies have increased spending under Simplified Acquisitions an average of one billion dollars each year since FY2009. 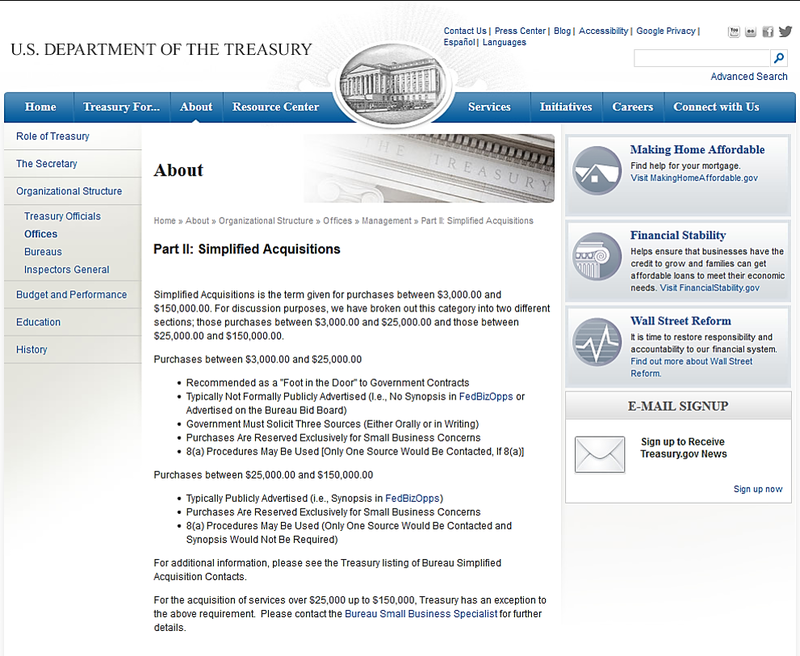 Then there is the fact agencies look at these as lower risk opportunities where they are often more willing to take a chance on a company that’s not a ‘usual suspect.’ There was a time many agencies included language on their websites similar to what Treasury has related to Simplified Acquisitions. Ultimately, you’ll need to develop context for how agencies buy so you know where to look for opportunity. The method an agency chooses to make a buy affects how they solicit the opportunity which dictates what vendors can submit a quote or proposal. One of the most common frustrations I hear about is companies unsuccessfully trying to contact folks in government. Without making excuses for the small business offices at the headquarters and component levels, the simple math is there are more of us than there are of them. To get the best value out of those exchanges, do your homework before you call and understand what it is they can do to assist. As for the other folks in government who jobs aren’t focused on taking marketing calls from industry, consider this. Why did you call them? What was your request? Why would they need to speak with you? How is your request relevant to their primary function for the agency? I know folks on both sides and it’s interesting to have both perspectives to consider when I write pieces like this. 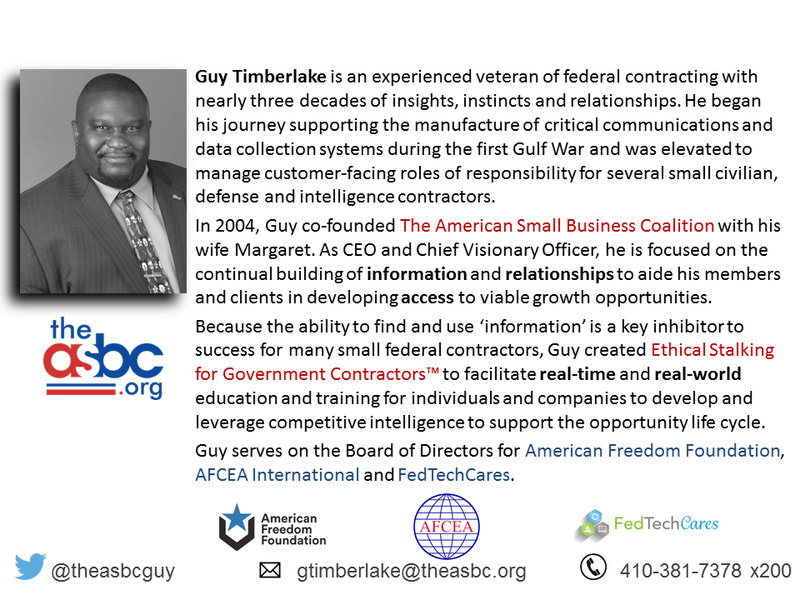 Relationships are a key part of doing business in federal contracting and the folks in Government are people with jobs to do just like us. 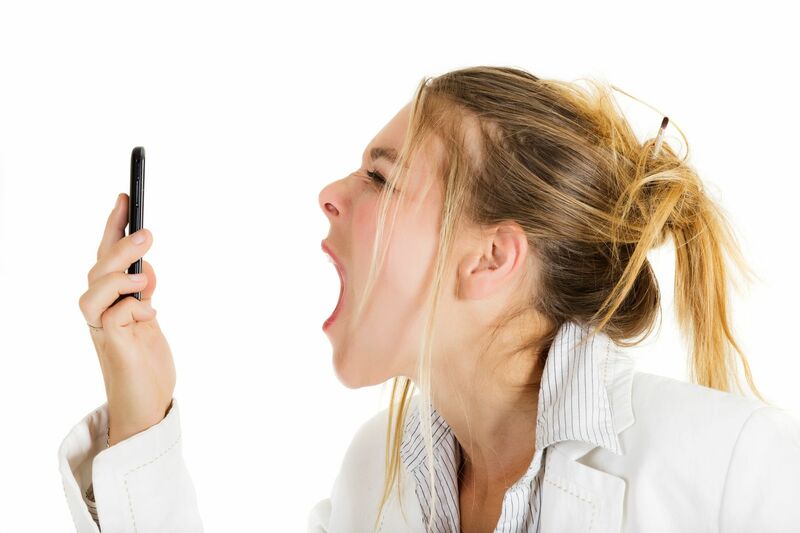 They are not waiting for your call, especially when you don’t have a good reason for calling. Plus, they don’t know you, your company, your company’s products, reputation, etc. If you have in fact done your homework and believe you have a solid case for reaching out to someone you don’t know at an agency (or company), leverage your network for a warm intro. In fact, you can probably use LinkedIn to discover how your networks mesh. Just ask my friend Mark Amtower. Doing business in this space can seem and is complicated and unwieldy. But not always. There are basic steps that are often overlooked that shouldn’t be and not all of them are specific to government contracting. Likewise, how agencies conduct procurements can often seem convoluted and burdensome, but again, sometimes they are not. It’s all a matter of context. The bottom line? If you’re not willing to do the groundwork of establishing goals and researching the viability of achieving them based on your offering and marketplace factors, you won’t have done even the minimum to manage the cost and risk. As a result, you too will wind up being one who finds federal contracting to be expensive, frustrating and unrewarding. Guy, I need to add my two cents worth as well…you and I have discussed this many a time and while I totally agree with Mr. Hinkler and Mr. Amtower, I believer we need to start earlier with some serious soul searching before we embark upon researching various markets. We MUST know, be comfortable with our own abilities and understand how they will play into our future success. Start at home with a functional/skill assessment; 1 -What have you done, 2-What can you do, 3-What do you want to do. At the intersection of those should come a starting point to begin market research. The old adage of know what your customer wants can’t begin until you understand what you “can” do. Then you have to decide your risk factor…are you conservative or a risk taker…then resources will enter the equation but by that time you at least have a foundation form which you can focus your market research. The next step is to take the dang CI courses offered by the ASBC…..
Total common sense. This is my favorite channel. And when you ask our friend Mark Amtower and he’ll also tell you “Market Research – Market Research – Market Research”. Mr. Timberlake hit the proverbial ‘nail on the head’ again! One stands a better chance hitting the multi-million-dollar lottery than being brought on by another company who’s already in the game. Unless you know someone who knows someone who knows the main person who holds the purse strings, it’s an uphill climb. Do not expect anyone—ANYONE—to welcome you with open arms. Thank you, Mr. Timberlake.